How many children can you get in a horse cart? Well I can count 29 faces not including the driver – mostly girls but with a group of lads crammed at the front. This photo is in the early 1900’s and they are all in their Sunday very best outfits and waving patriotic flags. 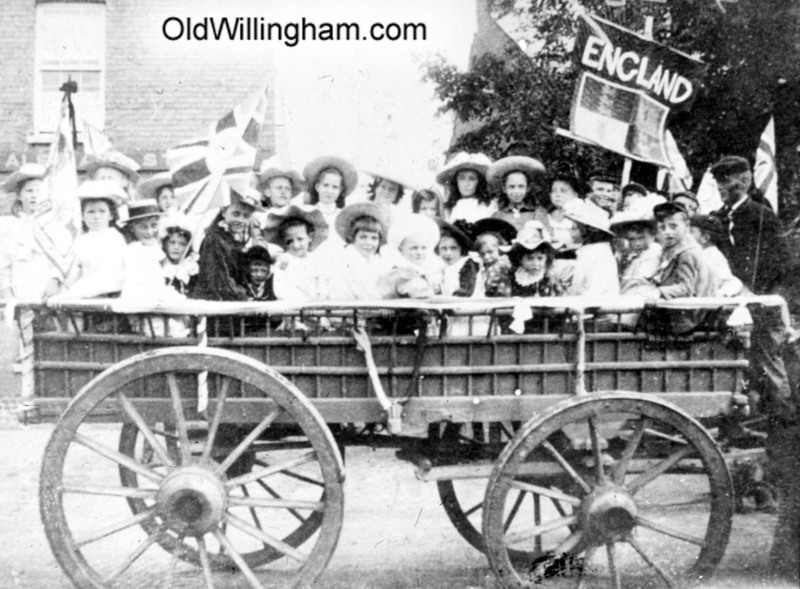 Parades on holidays were a big feature of village life and this may have been part of the Feast Parade or possibly even connected with the coronation of George V in May 1910. They are passing the Vine pub in the background which looked over the village green – and still does so today.